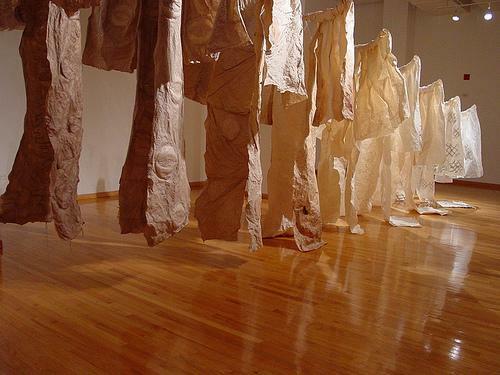 Loni Diep is an artist who explores the ideas of femininity, body, and narrative through book and paper. 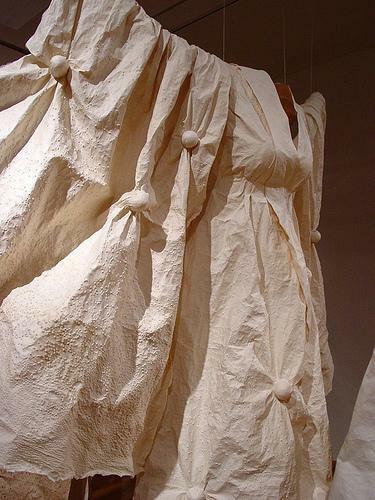 Making use of her MFA from Collumbia College:Book and Paper program, she uses papermaking and bookbinding to create sculptures that narrate various themes on social perception, human behavior, and cross cultural observations. 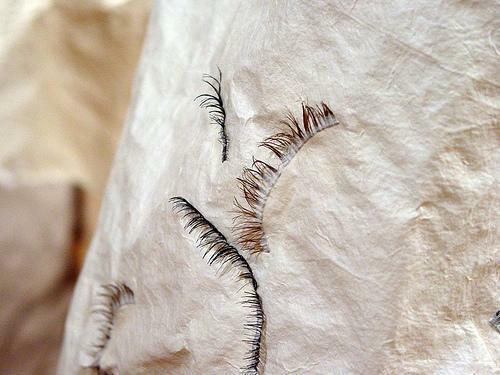 For starters, check out the "Way of Beauty Collection"
From styles of clothing to plucking eyebrows to nip and tuck, women have found many ways to cover up perceived flaws... to achieve a vision of "normal" that has for centuries been dictated by societies across time and oceans. 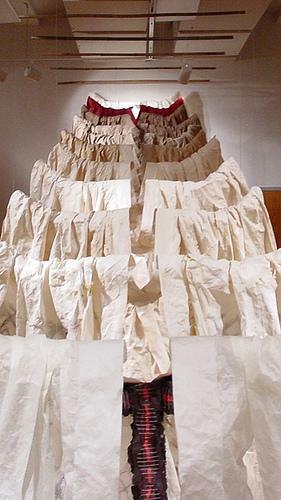 Through installation and paper sculpture, "The Way of Beauty" combines the suffocating robes of the eastern 10th century, known as the Junihitoe, with beauty procedures of the western 20th century. 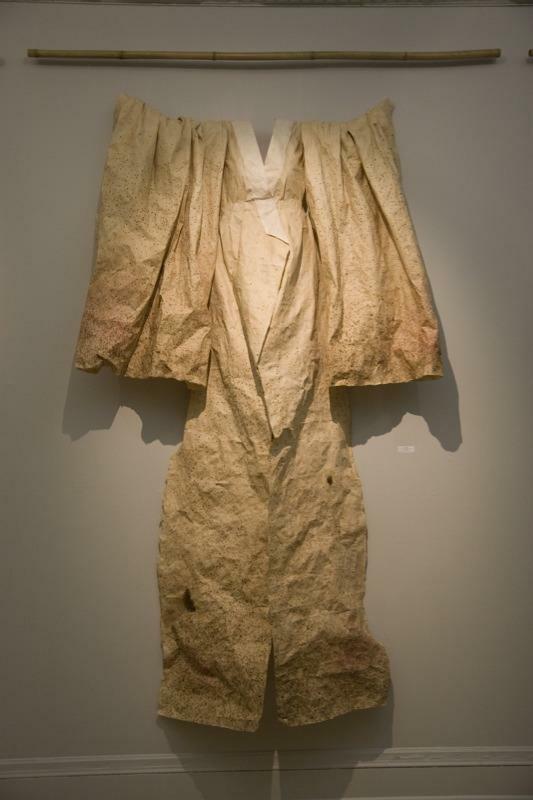 Each layer of this complex multi-layered kimono is manipulated through paper and inclusions to portray various beauty procedures such as silicone injections, eyelash tinting, waxing, fake nails and hair, etc. The installation allows viewers to walk through the hanging kimonos in a space of approximately 30ft. long x 10ft. deep x 14 ft. high.